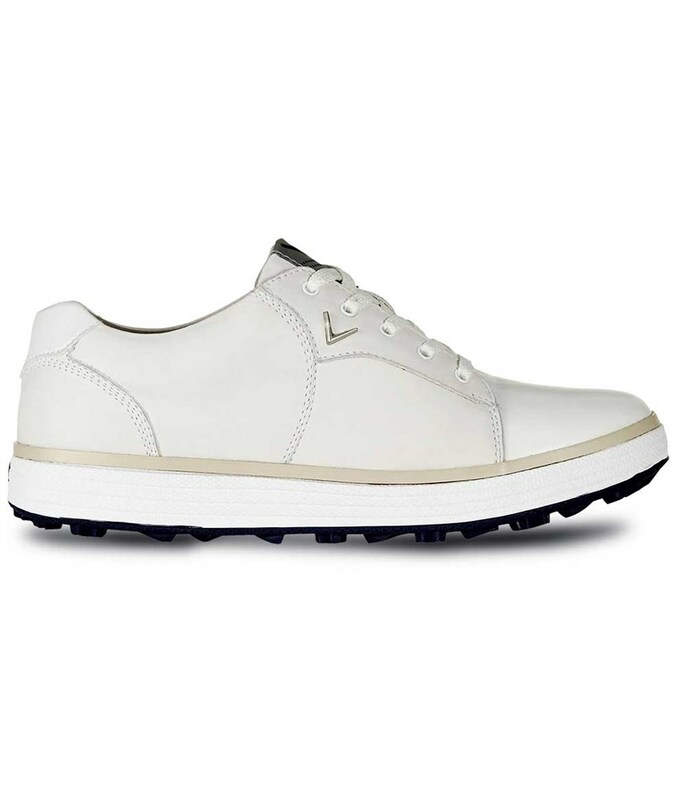 The Callaway Ladies Ozone golf shoes feature a stylish design that will perfectly compliment any outfit whilst providing the best possible comfort levels. 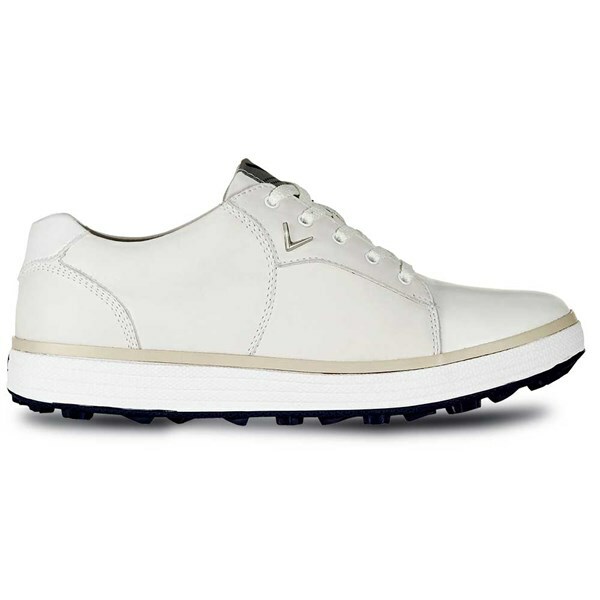 A soft, full-grain leather upper and microfibre suede lining combine to give you that instant and long-lasting comfort needed to get around 18 holes over and over! To further enhance comfort a full-length 20mm drop in the footbed which contains their Opti-Soft and Ortholite technology will give impressive levels of cushioning and support. The outsole of the Ozone golf shoe is spikeless and features multi-directional rubber lugs that will give you grip, traction and stability on all types of surfaces and underfoot conditions.